I have being nominated for a Liebster Award by my good friend and fellow blogger Emily from littlelifethoughts.co.uk. I hadn’t heard of this fun linky type post until she told me all about it a few days ago and nominated me over on her blog. The Liebster Award seems like a great opportunity for readers of my blog (yes, you!) 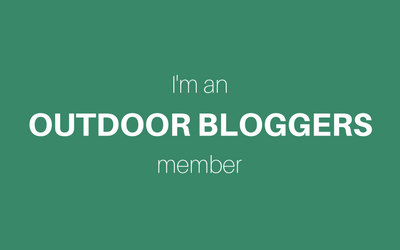 to find out a little bit more about me, and for me to find out a little more about a couple of other bloggers who’s blogs I follow. You must state 11 facts about yourself. You must answer the 11 questions given to you, from your nominator. You must nominate other bloggers, and set 11 questions for them to answer. You can’t nominate the person who nominated you. You must tell the people you’ve nominated them, so they can take part! I like having a project of my own to be excited about, completely in control of and for recording my interests and journey while on a budget. I started blogging last September 2013 just before D and I were due to move into our first home together and start our saving plan. Oh gosh, I thought this would be easy to answer because I’m not much of a makeup fiend but now I come to write my answer I’m torn between eyeliner and mascara. I can’t leave the house without either. I’m not loyal to any particular brand; I just go for the cheapest! Good question and also another difficult one to give just one answer for. I love a wide range of music from folk to chillstep, from drum and bass to Brit pop and punk ska to heavy rock. Any returning readers or those who follow me on Instagram will already know this one; I have two hob ferrets named Bramble and Forest. Bloomin ‘ek. These questions are two hard to give one answer for! I love all food (apart from mushrooms) but I will say either haggis, nips and tatties or pancakes! Where in the world would you most like to live? I’m huffing and puffing over having to pick one answer for each question! Game of Thrones is a definite joint first with any wildlife type documentary. The only time I remove my socks is when I shower, bath, swim or just need to change into a fresh pair. I hate bare feet and I get anxious if someone wiggles their toes near me. I’m the worst person to watch films with; if the film is rubbish I will complain about it all the way through and if I enjoy it I will probably fall asleep. What’s the one bit of advice you would give to someone starting a new blog? Is there any food that you dislike? Are you a city person or a country person? Do you own a onsie? Do you prefer to run on a treadmill or run outside? Which one item can you not leave the house without? I nominate Chantelle from seychellesmama.wordpress.com for the Liebster Award. Enjoy Chantelle!